"Welcome's you to Renuka Infocom Pvt. Ltd."
RENUKA INFOCOM PVT LTD is incorporated in year 2004 and within a small duration of four years it has become on of the India's fastest growing business entity to carry out Information Enabled Business Process Outsourcing (ITES-BPO) in domestic and international market, for Digital Security Solutions, IT Solutoins, Outsourcing, egovernance applications and Animations. 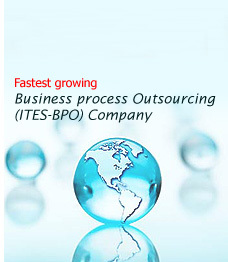 A radical growth of around 32 percent and notching up revenues of around USD 8.3 billion in 2006-07, the Indian ITES-BPO industry also matured in terms of the services it began providing to global clients. RENUKA INFOCOM PVT. LTD. has shown the enormous growth in the field of various sectors, within few months from date of its incorporation. The company became the Direct Franchisee of National Securities Depository Limited (NSDL) to carry out various e-Filling for Income Tax Department on behalf of NSDL. Moreover the company is certified Licensed Registering Authority of MTNL and authorized to issue legally valid Digital Signature Certificates in India under the IT Act 2000.The Company is having database of more than 10000 satisfied users accross india. The Company gets it ISO certification from United Kingdom Accredition Society in 2007 for "Providing Technology for Digital Key infrastrcture , BPO & KPO services, e-governance solutions and other ITES services". We get into Accounting, Finance & Taxation outsourcing in 2004 and developed outsourcing business in USA, Canada, UK and Australia.Visit us at www.accounting-outsourcing-india.com for complete info. Recently, we have started new venture for 3D, ANIMATIONS & AFTER EFFECTS where we will be targetting various domestic and international production houses under the brand name "AXON"..